Here is the PDF Pattern. Today I have something completely different that I hope you will not only enjoy, but be inspired by it as well. It’s a portrait of a kitty cat, and you can crochet it! 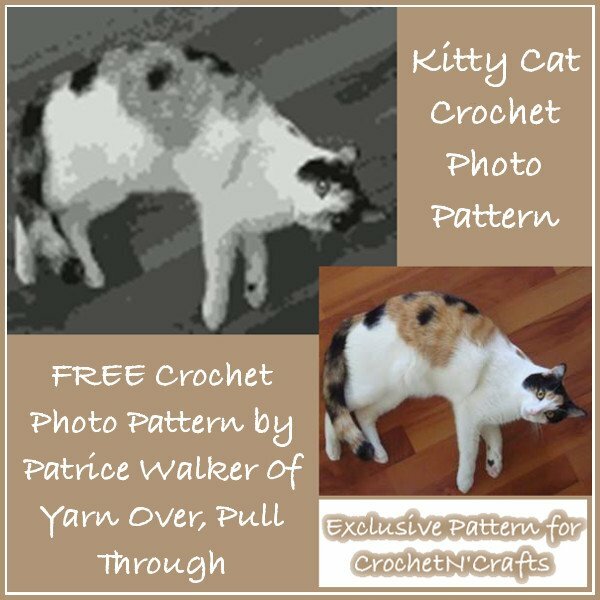 The crochet photo pattern is done by Patrice Walker from Yarn Over, Pull Through. 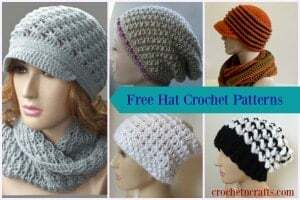 Patrice, thank you so much for creating this crochet photo pattern exclusively for CrochetN’Crafts, as well as for allowing me to publish it for FREE for my readers. If you check out her blog you’ll see she has a way of taking real-life photos and turning them into patterns so that anyone can crochet them. She also does custom crochet photo pattern, so you can have your favorite photographs turned into crochet patterns as well. Crochet photo patterns are very labor intense and take time to complete, but the final outcome is well worth the effort. They make for great wall hangings and gifts. And this kitty cat pattern would no doubt be a huge hit with anyone who enjoys cats. The technique for crochet photo patterns is very similar to tapestry crochet. However, there is no chart, but rather, a color sequence is given for each row. Patrice has outlined the instructions on how to follow her pattern, so be sure to read it thoroughly before you get started on it. To get this pattern, click the download link at the top of this page. Thanks so much and I hope you enjoy.